We absolutely adore Wilbur’s new skill-building series, full of magic, mischief and fun for littler learners! Why not treat your child to this very first look at numbers, illustrated by the fabulous Korky Paul? 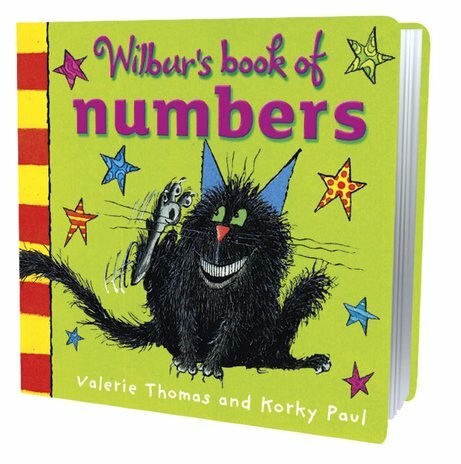 The glorious pictures show a cheeky Wilbur in a variety of hilarious poses and guises which help to illustrate each number. Text is limited to just a handful of words, letting the expressive artwork do the talking. Learning is simply irresistible fun with this clever cat around!